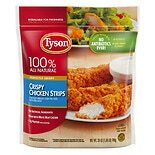 Shop Tyson Crispy Chicken Strips (25 oz. )25 oz. 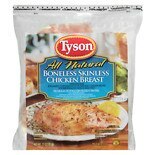 Shop Tyson Individually Frozen Raw Boneless Skinless Chicken Breasts (32 oz. )32 oz.